219 meets 317: a public mural from Big Car Collaborative on Vimeo. 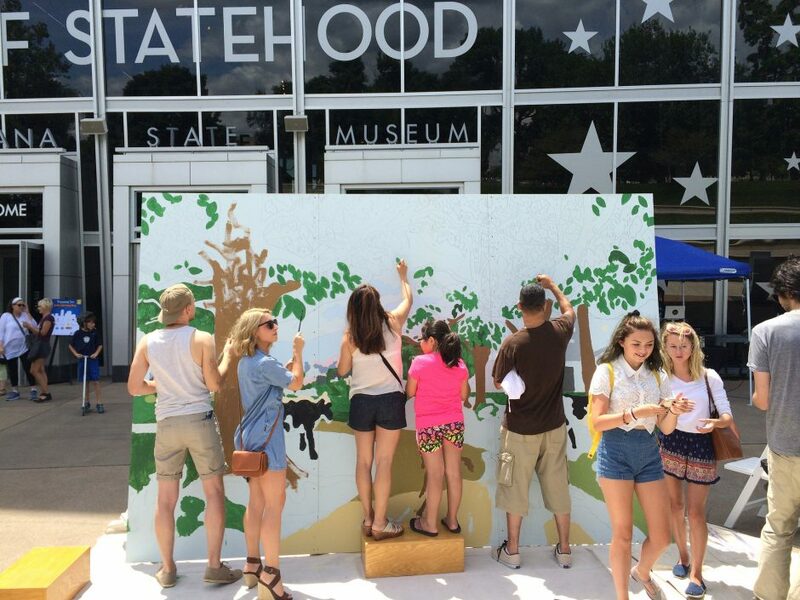 On July 9, 2016 the Indiana State Museum held 219 meets 317, a community event meant to introduce residents of Marion and Hamilton Counties to each other while celebrating the larger Indianapolis community. 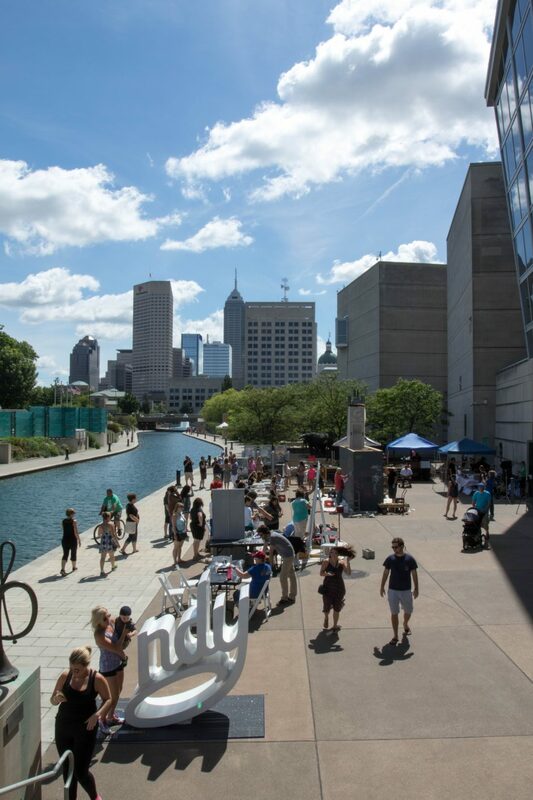 Taking place at the canal, a middle point between the north and south sides of the city, graffiti artists from both counties showed off their skills in a friendly but fierce battle of the area codes. 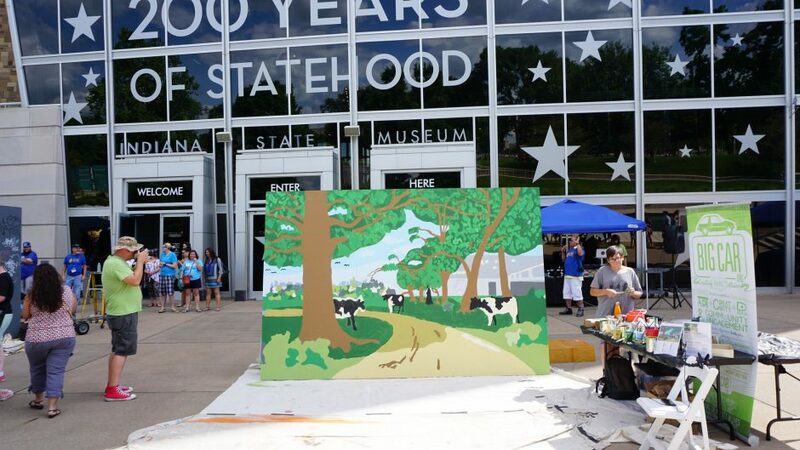 Big Car was also commissioned by the museum, and designed a paint by numbers mural influenced by the work of Hoosier Group artist T. C. Steele. 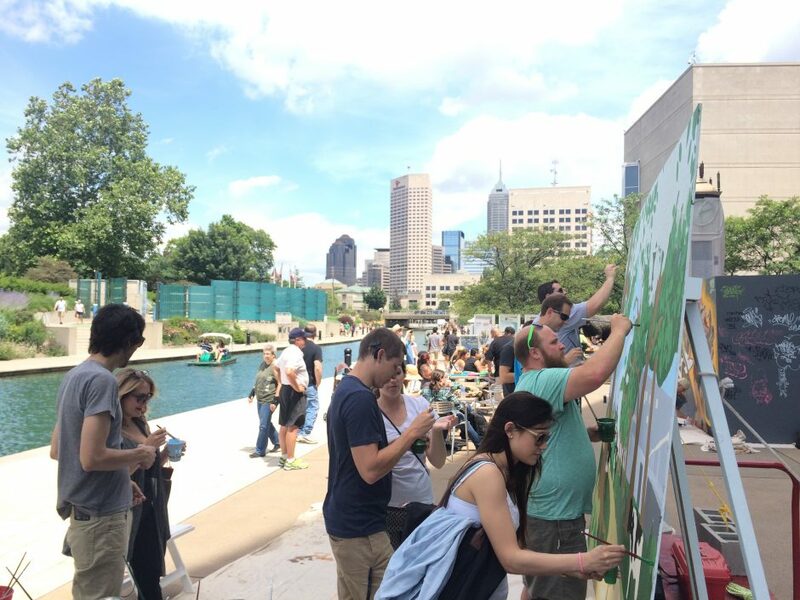 Throughout the event, people strolling the canal stopped to watch the graffiti artists work. 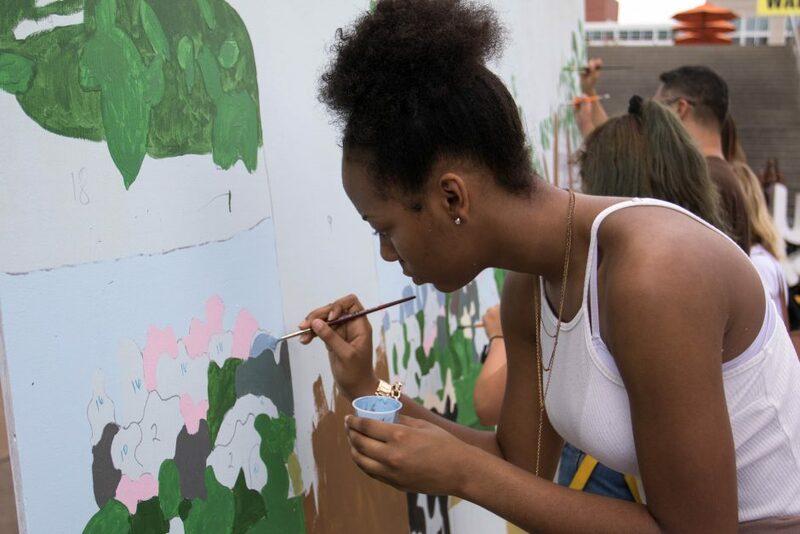 Many were inspired to pick up a brush themselves and collaborate with other members of the community to complete the Big Car mural. Besides paint, brushes, and the mural itself, Big Car provided educational materials about T. C. Steele and his work as well as coloring pages and pencils for artists who prefer a smaller canvas. 219 meets 317 brought art to people by introducing community members to alternative art forms such as graffiti as well as through creating an environment in which people can participate in public art and community building, while also reinforcing State pride through highlighting Indiana’s rich creative history. See photos of the finished product here.